When I received the email asking if I wanted to be a part of A Good Run, I couldn’t have been more excited. 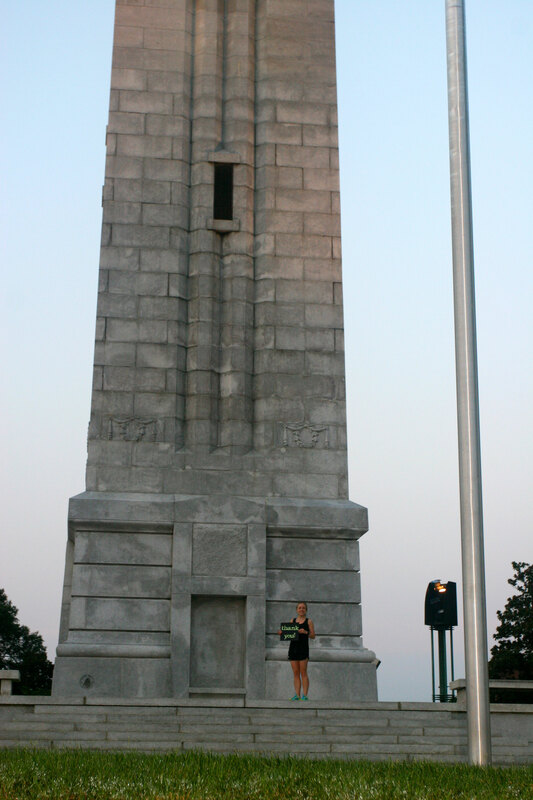 I have lived in Raleigh, NC for 11 years and while living here, I have learned so much about myself and life. Raleigh is where I started running, went to college, met my husband, got married, met some of my best friends, ran my 5K PR, ran my marathon PR, experienced the glories of downtown living, and the list goes on and on. Why of course I will show off this fabulous place and thank all of the people who are such a big part of my life! What a fabulous way to give back. 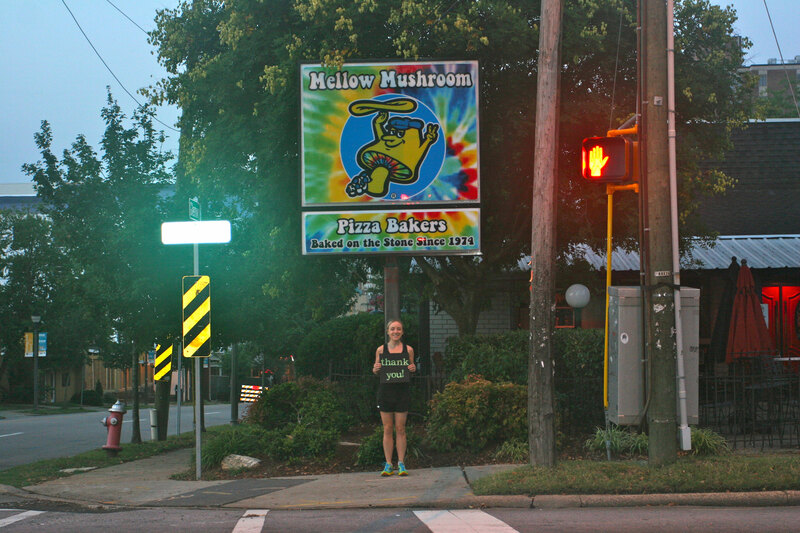 My first stop is Mellow Mushroom. This restaurant is important to me for two reasons. First, they make some pretty darn good pizza, which can be perfect after a really long run. I’m a big fan of the Kosmic Karma, but just about anything you choose is delicious. The second reason this place is important to me is because it is where I went on my first lunch date with Mario. After a long run and a wine festival, we came here and had our first lunch together. I couldn’t have guessed it at the time, but Mario would become my best friend, my motivator, my inspiration, and my husband. Thank you Mario for all that you have brought to my life! I couldn’t do it without you. Next, I head to Capital RunWalk. This is a local running store located about a mile and a half from my house. Many years ago, I use to work here and learned more about running shoes than I could have ever imagined. Now, this is my go-to place for running shoes, running clothes, and anything else running related. The store is always full of positive runner friendly people. 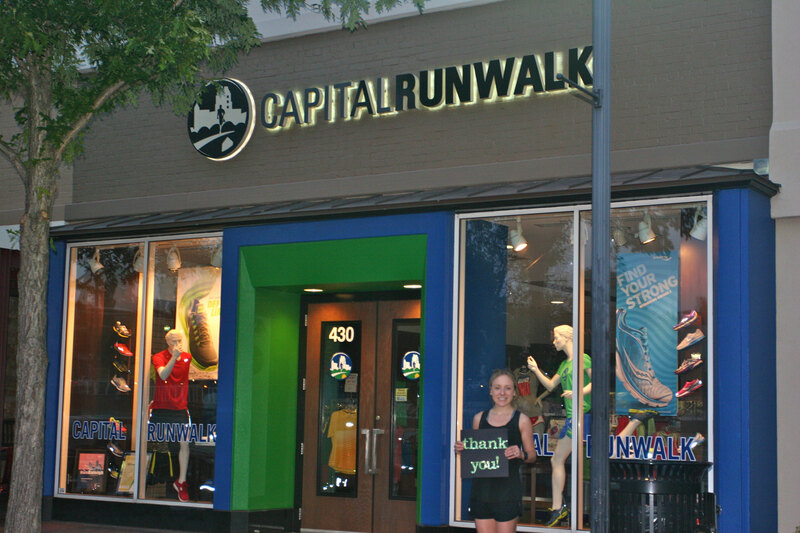 Mike, Baker, Bobby, and all of the other employees at Capital RunWalk, thank you for being a great store and always giving back to the running community. Now I’m off to my alma mater, North Carolina State University. Six years of my life were spent here on this campus (undergrad and grad school), and I am thankful for so many people who helped make those years memorable. In particular, Lesley, Anna, Elizabeth, and Rakhi for being such understanding roommates. Even at 18 years old I had to be in bed by a certain time just so I could wake up and run. Graduate school was a crazy time and I made it through (successfully) with the help of my grad school buddies. Mariana and Kelley made those two years entertaining, enlightening, and eye-opening. Thank you both for making me laugh more about intellectual topics than I ever thought possible. 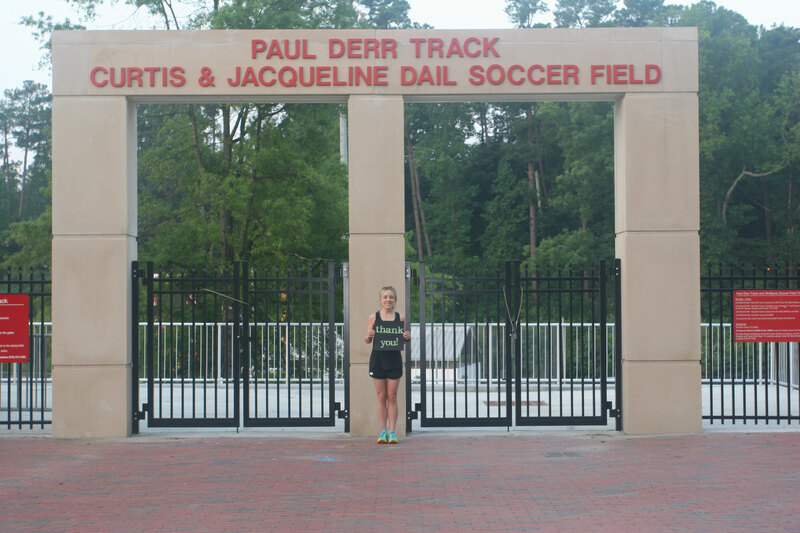 As I run through NC State’s campus, I stop at Paul Derr track. This track is home to NC State’s finest track and field athletes. Back in 2008 the track underwent a renovation, and then it gave me my first experience with a track workout. Now my dear friend Emily wakes up super early on Tuesday mornings to drive 30 minutes and meet me here for speed workouts. Thank you Emily for helping me through those workouts and for keeping me company at 6:00am. It makes early mornings a little more bearable. 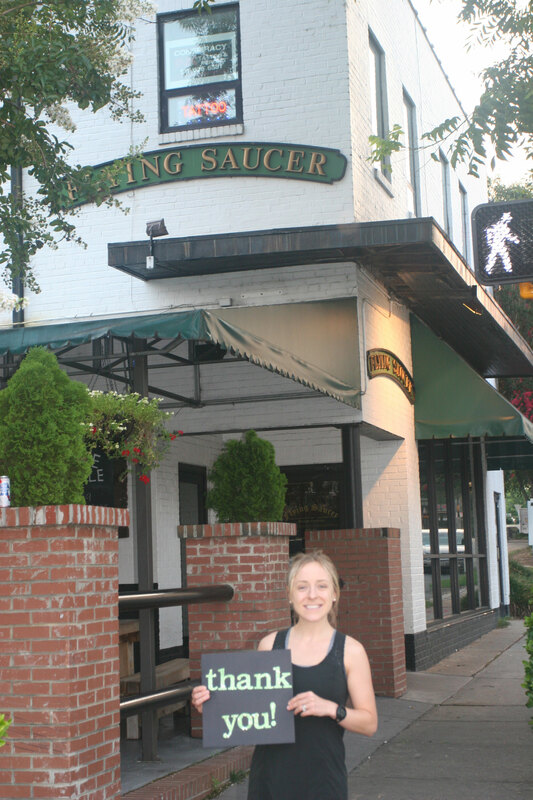 After NC State, I head to one of my favorite places in Raleigh, Flying Saucer. During heavy marathon training, I come here at least once a week. I feel guilty eating their delicious soft pretzel unless I’m doing some heavy mileage. Along with the delicious carbo loading, Flying Saucer also has over 200 different beers. A great place for many runners. Whenever Mario and I come here, we always try and sit in Katherine’s section. She is one of the happiest and most pleasant waitresses I’ve ever met, and she always remembers Mario and me. Thank you Katherine, and everyone else at Flying Saucer, for making marathon training much more enjoyable. Before I head back home, I stop in front of the State Capitol Building. I make it a point to run by here almost every time I’m out running the streets of Raleigh. It is such a beautiful building with statues and plaques to remind us of how Raleigh came to be what it is today. I want to say thank you to all of those people who have worked hard in making Raleigh one of the best places to live. We have so many great things – restaurants, museums, shopping, parks, etc. – and I couldn’t imagine being anywhere else. Thank you to all of those people who help make that happen. My final stop is the rooftop of my building. I stop here because it overlooks Raleigh, and I think it is the best way to include all of those people who I am thankful for that didn’t have a stop along my route. I would have been running around all day trying to make that happen. I have a great family, great friends, and great neighbors. Thank you to everyone for all that you do, and for always putting up with my craziness. That charity that I am supporting is Girls on the Run. Last year I was a coach for 15 fabulous young ladies, and it was an enriching experience beyond measure. Girls on the Run is a life changing character development program that “inspires girls to be joyful, healthy and confident using a fun, experience-based curriculum which creatively integrates running.” At the end of a 12 week program the girls, along with a parent or other running buddy, complete a 5K. Last December at the GOTR Reindeer Romp, that was by far the most fun I’ve ever had at a race. I want to give back to the program that does so much to help our young ladies. 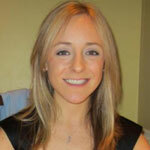 Tracie Rodriguez is a Spanish teacher and blogger about all things running related. She currently coaches an all girl social run club, and when she isn’t running through the streets of Raleigh, she is salsa dancing, traveling, or cooking with her husband Mario. 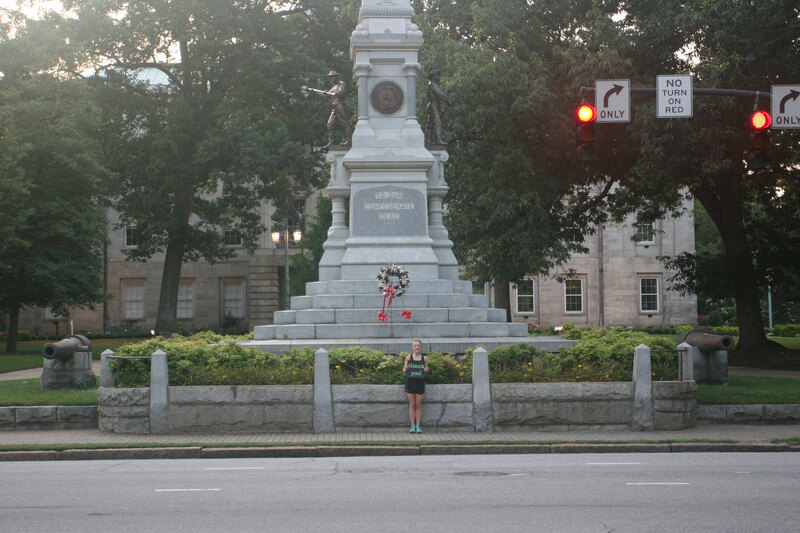 Pingback: A Run through Raleigh, NC « Run Inspired. VERY COOL! I so enjoyed reading this piece and seeing the accompanying pictures. Thanks, Tracie! Tracie, great post! Loved reading this and seeing all your pics! Thanks for sharing, and thanks to A Good Run for including your post!